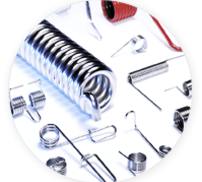 Here at General Wire Spring Company, we know the importance of getting custom spring orders out quickly, getting them right and keeping prices competitive. Give us a chance to provide you a quote for your custom, heavy duty spring design. 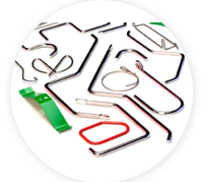 Since 1930, thousands of customers have trusted us with all of their custom compression springs, torsion springs, extension springs and wire form needs. 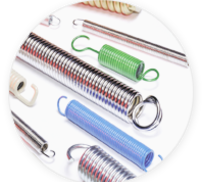 General Wire Spring Company custom designs and manufactures springs from a vast selection of materials. 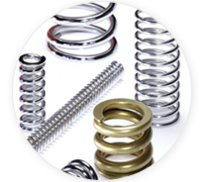 We can get heavy duty spring quotations back to you promptly – offering recommendations on how to reduce costs, improve performance and provide the optimal design for your custom spring needs. To further assist you, we offer in-house machining, painting and assembly work. As a third generation family business, we’ve dedicated ourselves to being a leader in customer service. So we sweat the details and try to anticipate your needs. We were one of the first custom spring companies on the web, allowing us to communicate better with our customers. One-piece orders are no problem for us, and we take pride in our “In a Hurry” deliveries, which help many companies get out of jams and back into production.